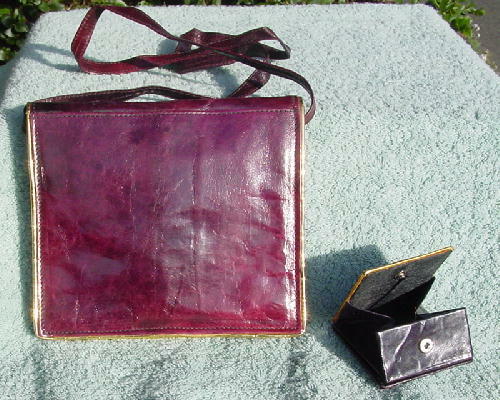 This vintage burgundy-brown leather purse has gold-tone edging. 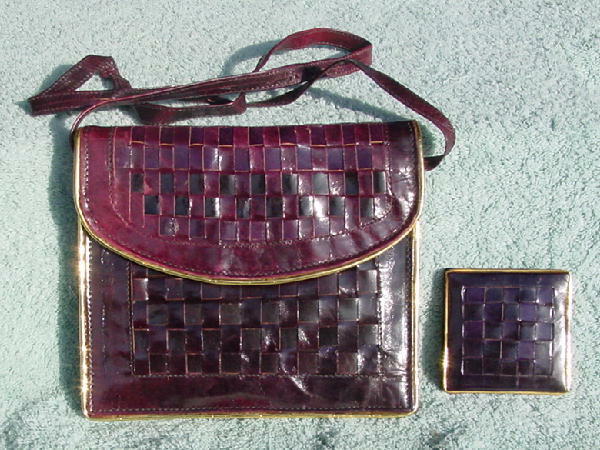 The snap envelope style flap and the center front have a basket weave pattern. There is a 41" long shoulder strap. The interior has a soft shiny black padded lining with an interior back side open pocket. It has a matching snap pull-open leather square shape change purse. The leather is extremely soft and it has very nice detailing. It can be worn from day into evening.